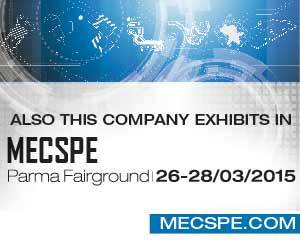 Mecaprom will attend the MECSPE exhibition in Parma from 03/26 to 03/28. You can find us at pavilion 5, b07 stand! MECSPE is the reference fair for the manufacturing industry. The meeting point between production technologies and industrial sectors, thanks to the synergy of 9 thematic halls that are held in contemporary and that offer the visitor a complete overview of materials, machines and processing to implement an excellent production starting from the concept of an artifact until its realization. The event is therefore, thanks to this synergy, an excellent internal matching opportunity between the exhibitors of the various shows.